Get in the right state of mind for this year’s Hallow’s Eve by heading to some of the nation’s most notoriously spooky towns: Sleepy Hollow and neighboring Tarrytown. With various Halloween-y events lasting all October long, you’re sure not to run out of fun and festive activities while you’re there. But the spook isn’t just limited to October! 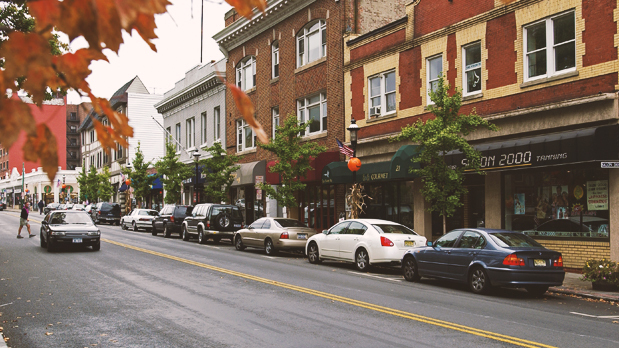 Sleepy Hollow and Tarrytown are chock-full of history with eerie landmarks spotting the town. So in the spirit of Halloween, here are all the spooky must-dos and must-sees throughout. Running from the first week of October through the 15th of November, the Great Jack O’Lantern Blaze features over 7,000 hand-carved, illuminated pumpkins set against the mysterious backdrop of Van Cortlandt’s Manor’s 18th-century buildings and riverside landscape. Meander through the breathtaking display while you stare at the stars! Climb aboard Sleepy Hollow’s annual Haunted Hayride and get ready for a fright! All seems well when you first board the wagon...by the time you realize something may be awry, you’ll already be well on your way into the dark abyss of the city! There’s even a free block party to welcome you both nights of the rides, October 24 and 25! 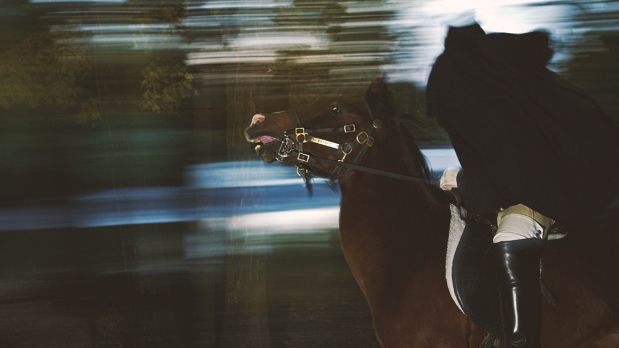 Taking the tale of The Legend of Sleepy Hollow to a spooky extreme, Horseman’s Hollow brings 15 evenings of haunted mayhem to the village as Philipsburg Manor transforms into a terrifying landscape ruled by the undead, the evil, the insane...and the headless. Head to the Disenchanted Castle where castle dwellers like Dracula and Maleficent let you in on the real secrets of being a haunted ghoul. The only indoor Halloween venue in Westchester, Jay Ghoul’s House of Curiosities hosts a spooky performance through the first floor and basement of Lyndhurst Mansion. 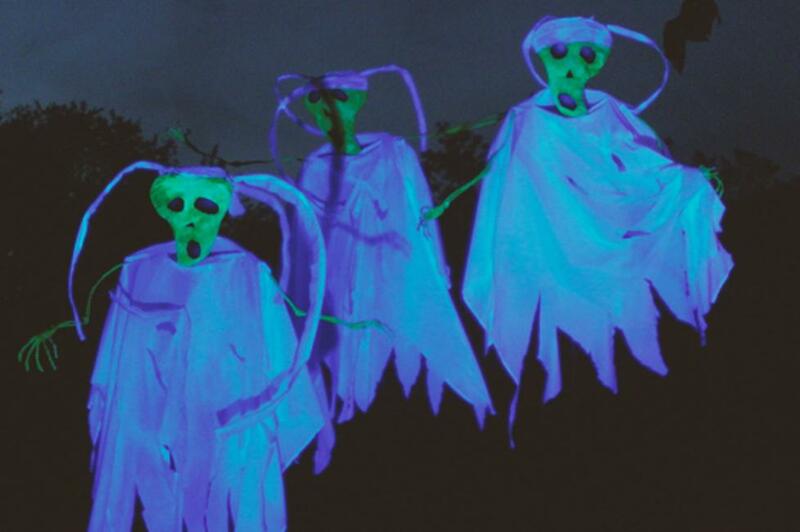 For an extensive list of Halloween events in Sleepy Hollow and Tarrytown, click here. The Old Croton Aqueduct Trail spans 26 miles between Tarrytown and Sleepy Hollow and offers a unique perspective on the two towns. It passes through parkland, old estates and even backyards, and is suitable for a nice walk, jog or eerie glimpse into Sleepy Hollow’s history. A trip to Sleepy Hollow isn’t complete without paying a visit to Sleepy Hollow Cemetery and its famous residents, including Elizabeth Arden and Andrew Carnegie. With twisting narrow roads and weathered tombstones nestled into the woodlands of the town, the cemetery has a supernatural feel all year round. Wetlands, woodlands, meadows, fields and a lake comprise Rockefeller State Park. The old stone bridges and wells juxtaposed to the bright green ivy of the wetlands caters to the ghostly feel of the rest of the town. Looking for a more extensive Sleepy Hollow and Tarrytown experience? The Path Through History website will guide you to every eerie historic landmark throughout! Don’t forget to post photos of your New York adventures on Instagram and Twitter with #NYLovesFall and #ILoveNY and tag us on Facebook!